We’re still here at the Computer History Museum in Mountain View, California watching Demo Dayfor Y Combinator’s Summer 2012 class, the storied incubator’s biggest yet. Today’s 75 presentations have been broken up into five batches, with the fifth being off-the-record. The third round of startups just presented their wares to a room full of the crème de la crème of tech industry investors and executives (and a fair number of us digital ink-stained media types) — and although it’s the last round of startups before lunch, the energy has not started to flag one bit. You can check out roundups from batches one, two, and four, plus our coverage of how Y Combinator pitches are changing. It may seem hard to believe if you’ve ever been screwed over while flying standby, but on average, 20 percent of seats on airplane flights in the US are empty. This undersold inventory adds up to $25 billion in lost revenue in the United States alone. GetGoing aims to find these unsold seats and price them at a deep enough discount that they sell to leisure travelers that aren’t sure of where they want to go. This can mean 40 percent off of regular flight prices for customers — but it’s still a win for airlines, as those seats would have otherwise gone completely unused. Pretty much every company out there could benefit from getting data-driven advice to help hone their sales and business development strategy. The thing is, that kind of technology is normally only accessible for big companies with deep pockets who can hire outside consultants. Canopy Labs has built a self-serve technology platform that can be used in the same way that those expensive, customized lead optimization tools are — it helps sales teams identify their largest potential customers and prioritize their sales pitches. According to Canopy Labs, uptake has been encouraging: In the past few months, Canopy has brought in $140,000 in revenue and is profitable, with 9 enterprise customers signed onto use the software. According to the company, the potential to grow is big — there are some 90,000 potential customers out there that could benefit from having Canopy Labs. Read more about the company here. Many people believe that if there’s one thing that helps illustrate the endless possibilities of our tech-enabled future right now, it’s 3D printing (well, also whatever technology makes PopChips so delicious and low-calorie. But then after that, it’s definitely 3D printing.) With the rise of 3D printing that’s easy and affordable enough to be used by regular people, though, we’ll need awesome software to help us design things to print. That’s where Dreamforge comes in. 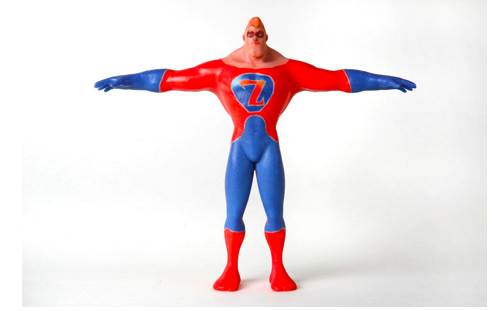 Dreamforge says it has made 3D modeling software that can be used by average consumers to create things like toys (such as the superhero pictured above.) Most existing 3D modeling software right now has lots of bells and whistles that only experts know how to navigate, but Dreamforge has a streamlined user interface that can purportedly be used by anyone. Bad computations can mean serious money lost when it comes to the financial space: Earlier this month, Knight Capital said it lost some $440 million in 45 minutes because of a “computer glitch.” BigCalc has set out to make software that financial firms can rely on to help them make fast, algorithmically-driven trading decisions. BigCalc says its platform for financial modeling scales to enormous datasets, and purportedly does simulations that typically take 22 hours in 24 minutes. The startup says it is currently in talks with four major financial firms that might use its software to help inform its trading operations. The status quo for most modern web design is kind of like a game of telephone: A product manager creates a rough sketch of a web app in a design platform like Balsalmic, hands it off to a designer, who then turns it into a realistic-looking screenshot, who then passes it on to a developer that implements it with HTML and CSS. It’s a lot of back-and-forth, and often the final product is not close to the original concept because of all the tool transitions needed. Easel wants to replace all these different formats with its one, simple, in-browser tool that can be used in all phases of a web and mobile design process, from mockup to implementation. Easel charges a minimum monthly subscription fee of $100, and it seems to be something that folks have been willing to pay to try out. In its beta release, Easel has had 10,000 users sign up, and 7,000 of whom have already created something with the platform. Read more about Easel here. Saving and sharing computer gaming moves is a hugely popular thing to do — but the process hasn’t made the leap yet to the increasingly powerful mobile gaming space. 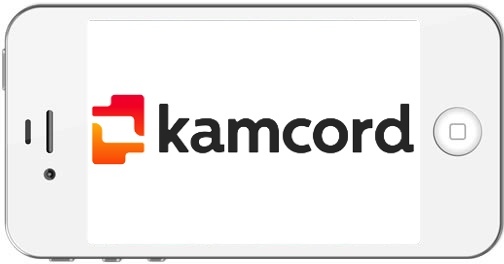 Kamcord, an app for the iPhone, wants to fill that gap. Kamcord lets you record and share videos of mobile game play through a tool that is integrated into your phone’s games and allows sharing to social networks. The app has already taken off in a way — by the end of the year, Kamcord’s founders say they expect to be installed on hundreds of millions of phones. It also sees the potential to become a game-centered app store in its own right down the line. The real key here is that Kamcord actually owns the content that’s captured through its app, so it can monetize each and every video view. And if there’s one thing we’ve learned in the past few years, it’s that when tech is involved, playing games can actually be big business. Read more about Kamcord here. Everyone knows that people online have pretty short attention spans — and when it comes to video, that’s especially true. Even though people love watching video content, after just 15 seconds, the average online video lose half of its audience. Reel Surfer says it’s found a way to both feed our appetite for video content while not losing our attention by letting people take out short clips from any video and share them with their friends. And Reel Surfer says that it can guarantee that its app will find the best bits of any long video. It appears to be pretty addictive: Reel Surfer says its traffic is doubling every week, as “short clips are really viral.” I believe it. You can read more about Reel Surfer here. When it comes to online ads, buyers and sellers no longer negotiate one-on-one; they meet on big ad exchanges that function almost like stock exchanges. But in the banner ad space, if you want to play in the real-time bidding environment, today you have to buy expensive software that requires training. 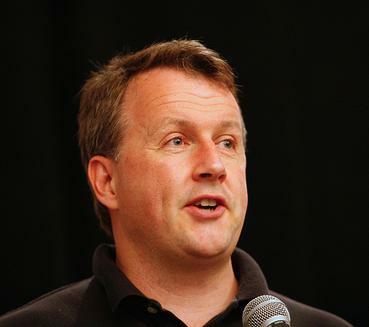 LeanMarket aims to undercut these software platforms with its own self-serve system that functions like an e-Trade for banner ads — “bringing real-time bidding to the masses.” LeanMarket did $50,000 in revenue last month alone, and is on track to make $100,000 this month. You can read more about LeanMarket here. TomoGuides is building free mobile travel guide apps that let people know about new things that old-fashioned travel guide books can’t: Last minute lodging deals, brand new tours and activities, and the like. They’ve also largely cut out the notoriously expensive and unreliable “human writer” aspect that most travel guides use (trust me, we’re wretched) by building a computer engine for mass-producing travel guides. Tomo’s founders say they have made 12 guides in just 20 days, and by the end of the year it expects to have 120 apps. DataNitro’s founders have both worked in finance, and they say they know from experience that financial industry software is basically “held together with duct tape.” A big problem with the status quo is how data is exported from Excel. So DataNitro (formerly known as IronSpread) set out to revolutionize that process with a new engine for Excel based on the Python programming language that makes it very easy for Excel to interface with other systems used in the financial industry. Since launch, DataNitro has grown 94 percent week over week, and its software has been used to pull data from sources such as Bloomberg and Reuters, interface with external databases, and optimize trades. Read more about DataNitro here. Before doctors do procedures, they need to check with the insurance company to make sure that a potential patient is actually eligible for the procedure — hospitals do need to get paid, after all. But despite the eligibility check being incredibly routine, it often takes overnight to complete. So Eligible has created a software system to speed that up significantly. Eligible has built an API for healthcare eligibility queries that lets doctors process queries in real-time. Eligible says it is already processing some 1,000 queries every day — that’s a lot, but the potential to grow is even higher, as last year there were over 12 billion eligibility queries in the US alone. Grid says it has completely redesigned from the ground up the classic spreadsheet interface for the mobile experience, dominated by touch-screen commands. It’s a simple outcome that was probably quite difficult to do — and it seems that users have responded with enthusiasm. They have 15,000 beta requests so far, and those who have made it into the beta have become daily users. 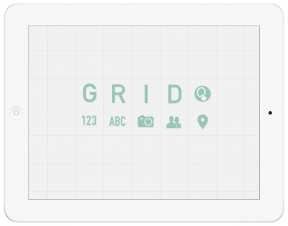 Read more about Grid here. Warehouse logistics is a huge industry, but it’s not one that you often associate with viral apps. But HD Trade Services says it has created technology has taken off virally in the typically stodgy warehouse logistics space. HD Trade Services has made an app that works on tablets for managing inventory and tracking shipments that purportedly lets businesses see a 27 percent increase in labor efficiency in their warehouses. And during its beta pilot in New York and Miami, HD Trade Services founders say that its customers have been willing to pay for that boost in productivity to the tune of $60,000 per year. Read more about HD Trade Services here. Mobile video apps have been really hot lately, but there is one chasm that still hasn’t quite been crossed — and that’s going from previously filmed to real-time content. 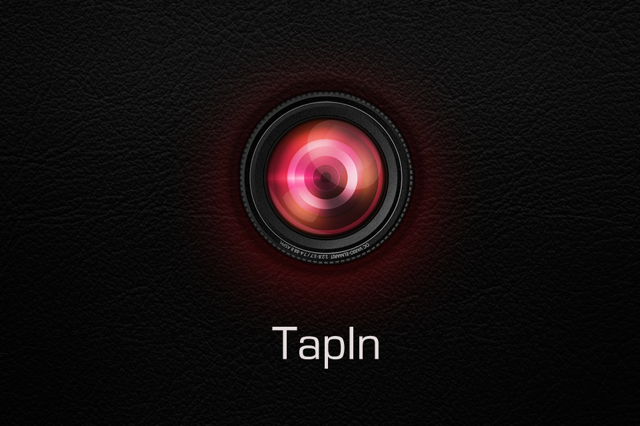 TapIn has made an app that lets you easily stream video content being captured on your iPhone. As its founders explain, there is a key difference between watching a video of something that just happened, versus watching a video of something that is currently happening. People who have used TapIn seem to like it — the average visitor watches 17 minutes worth of video while on the app, and 83 percent of people who take one video take another. Read more about TapIn here. Big celebrities have certainly started to see the benefits to being online on apps like Facebook and Twitter, but most of them haven’t quite started to make money on the web in the same way that they do in other media venues. Tracks.by wants to help bridge that gap, by letting celebrities make the same kind of endorsements that they typically do on television and print through social media. Brands pay Tracks.by on a cost per action basis to get celebrities to make endorsements on the web through online updates like Tweets. Things have started to take off pretty well — Tracks.by already works with 52 of Billboard’s top 100 artists, and is in the process of expanding to athletes and actors. All told, according to Tracks.by, it’s a $50 billion per year business. Read more about Tracks.by here. Josh Constine, Anthony Ha, and Kim-Mai Cutler contributed reporting to this article.